Windows XP clings on, Arc Welder apps incoming, OnLive is now OnDead, killing Kinect for Windows, streaming music through Rithm, and watching how elders react to an emotional video game. Windows XP is still refusing to die, despite continued attempts to get people to move on from the ancient operating system. According to the latest statistics from Net Applications, 16.94 percent of people accessing the Internet via desktop operating systems during March used Windows XP. While this is a drop from the 19.1 percent recorded in February, it still means XP is more popular than Windows 8 and Windows 8.1 combined, which together account for just 14.07 percent of users. 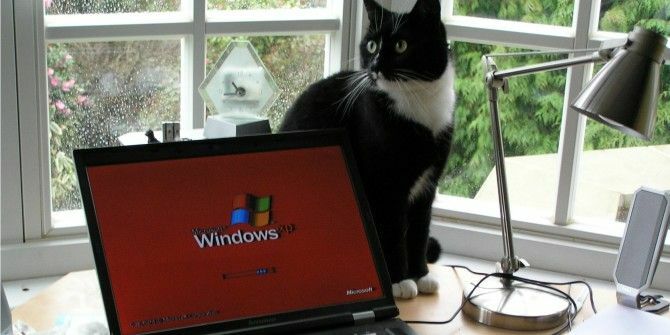 XP is second only to Windows 7, which dominates proceedings with a market share of 58.04 percent. We have continually urged people to upgrade from Windows XP Upgrade From Windows XP to a Modern OS in 7 Simple Steps Upgrade From Windows XP to a Modern OS in 7 Simple Steps It's time to say goodbye! Microsoft is ending official support for Windows XP on April 8 2014. Are you at risk? If you are still running this ancient operating system, it's time to upgrade. Read More , which is now 13 years old and counting Windows XP Lasted Longer Than World Wars I & II Combined Windows XP Lasted Longer Than World Wars I & II Combined Think Microsoft is letting Windows XP die too soon? You're not alone. Many think this is a cash grab. What if I told you Windows XP is the longest supported version of Windows ever? Read More . The need to upgrade (or switch to Linux The Best Linux Distributions For Windows XP Refugees The Best Linux Distributions For Windows XP Refugees Read More ) became critical when Microsoft ended support for XP in April 2014, meaning the operating system no longer receives security updates. If you’re still using Windows XP please do yourself a favor and move on to something newer, more modern, and (crucially) more secure. Between us we can kill XP off once and for all, hopefully by the time Windows 10 arrives later this year Say Hello to Windows 10, Nintendo Embraces Smartphone Gaming [Tech News Digest] Say Hello to Windows 10, Nintendo Embraces Smartphone Gaming [Tech News Digest] Launching Windows 10, Nintendo goes mobile, reviewing Android apps, reporting Twitter harassment, paying friends through Facebook, and Pixels depicts video games invading Earth. Read More . Android apps The Best Android Apps on the Google Play Store The Best Android Apps on the Google Play Store Looking for the best apps for your Android phone or tablet? Here's our comprehensive list of the best apps for Android. 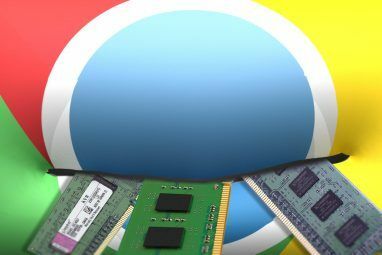 Read More will soon be compatible with any desktop operating system capable of running Chrome. This means that anyone using Chrome OS, Windows, Mac, or Linux will gain access to the thousands of Android apps currently available on Google Play. 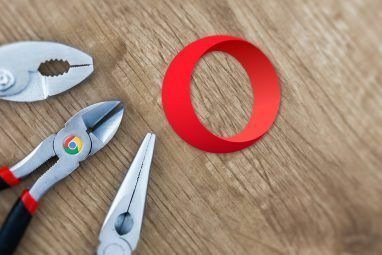 This is thanks to ARC Welder, a new Chrome app Google has initially released as a developer preview. ARC Welder converts any Android app into a Chrome app, meaning they can be used on a host of other operating systems. Only a handful of apps have so far been ported to ARC, but the release of ARC Welder means that number is sure to increase exponentially. ARC Welder is at a very early beta stage, so it’s far from perfect. Some of the Google Play Services are still missing, meaning apps which use them will simply crash. 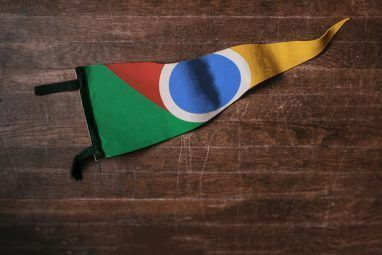 However, it’s clear that Google is working towards making Android and Chrome act as one, which should be a boon for users of the tech giant’s products and services. OnLive, which was one of the first attempts to make streaming gaming a reality, is shutting down, with the service going dark on April 30. This comes five years after OnLive launched with ambitions to change the way we game The OnLive Cloud Gaming Revolution - A Faster, Easier Way To Game The OnLive Cloud Gaming Revolution - A Faster, Easier Way To Game OnLive is a cloud gaming service that presents a truly unique way to access your favorite games. No longer are you forced to constantly upgrade - instead, you run the games in the cloud, and... Read More . OnLive may have failed, but streaming gaming is far from dead. Sony is buying OnLive’s impressive portfolio of patents, having already purchases rival service Gaikai in 2012. Sony used the Gaikai infrastructure to build its own PlayStation Now service PlayStation Now, App Store Sales, From McAfee To Intel, Cicada 3301 Returns [Tech News Digest] PlayStation Now, App Store Sales, From McAfee To Intel, Cicada 3301 Returns [Tech News Digest] Sony unveils PlayStation Now, Biz Stone launches Jelly, Apple App Store sales figures for 2013, new Gorilla Glass is antimicrobial, McAfee becomes Intel Security, China lifts ban on video games consoles, and the mysterious Cicada... Read More , and the OnLive patent portfolio should ensure the Japanese company stays one step ahead of the competition. Every time I hear a Kinect mic I feel like I’m talking to R2D2. Microsoft is no longer selling Kinect for Windows, pointing developers to the Xbox One version instead. No more Kinect for Windows v2 sensors are being produced, with Microsoft consolidating the technology by only selling Kinect for Xbox 5 Microsoft Xbox Kinect Hacks That'll Blow Your Mind 5 Microsoft Xbox Kinect Hacks That'll Blow Your Mind Read More . This should help the company keep up with demand for the sensors. The two sensors are “functionally identical,” with the Kinect Adapter for Windows all that’s required to use the Xbox One version on a PC or tablet running Windows 8 or Windows 8.1. Microsoft cites “unprecedented demand from the developer community for Kinect sensors” as the reason for focusing on producing just one unit. Music messaging app Rithm has struck deals with several major record labels to allow it to transition into a lightweight music streaming service. Rithm formerly only allowed you to send short clips of songs to other users, but those willing to pay for the privilege can now send full songs. At a cost of $3.99, Rithm users will be able to listen to all of the songs in their chat history. They will also be able to listen to 40 additional songs stored in a playlist, with 60 swaps allowed every month. This is, therefore, no Spotify Spotify Music Streaming: The Unofficial Guide Spotify Music Streaming: The Unofficial Guide Spotify is the biggest music streaming service around. If you're not sure how to use it, this guide will walk you through the service, as well as offer some crucial top tips. Read More replacement, but it’s a cheaper option for those who have narrow musical tastes. The new version of Rithm is [No Longer Available]. And finally, video games tend to be a pastime for the young and middle-aged, but not elders. This video proves as much, as these older men and women struggle to get to grips with one of the best games of the last generation, The Last Of Us on PlayStation 3. The Last Of Us is a highly emotional, story-driven game Pull Out The Tissues: 5 Video Games That Will Make You Cry Pull Out The Tissues: 5 Video Games That Will Make You Cry Video games offer something that no other narrative medium can: interactivity. And when it comes to emotional gaming, there are some seriously impactful scenes that will take your breath away. Read More which sees someone die during the prologue. It’s also very cinematic, with gameplay switching seamlessly from an acted scene to a playable scene. All of which makes this particular game a revelation to elders. Are you still using Windows XP? If so, why? Are you planning on upgrading anytime soon? Are you pleased to see Android apps coming to Chrome? Are emotional, story-driven titles such as The Last Of Us the future of gaming? Explore more about: Google Chrome, Instant Messaging, Windows XP, Xbox Kinect. The person who wrote this article is/was living in a blinkered world. If you want the least privacy concerns and a more efficient Microsoft OS that just works then XP is the one to stay with. As a musician it's also the preferred PC based OS that works very efficiently. If anyone still reads this article you should be aware that Windows 10 is being nicknamed 'SpyOS'. Just read the legal bit before installing it, you'll be flabbergasted. Was running XP x64 for few years and x32 quite a time before until I upgaded my PC and half of essential educational software discontinued XP support but I haven't reliable alternative hardware at the time. It was stable, quick to respond, allows me to do anything with it no questions asked. I dunno how, but I managed run my XPs for years without reinstalling since '08 (bought prev. PC) and still have enough perfomance. People around was surprised "how", I responsed "care". If there wasn't that bloody software incompatibles or there'd be a way to directly upgrade XP's essential parts - I'd still stick to it. window 8 and 8.1 = p.o.s. I use XP for normal usage, i have used 7, 8/8.1 and briefly Vista all of which use more resources than XP, my Laptop is designed for Vista, but i have found putting XP on it has increased the battery life on it massively from Vista, i thought 7s battery life was slightly improved than Vista, but found XP to use the less resources as it was designed to run on very old Laptops at the time. I use it in a limited account, with remote access off, Bluetooth off and as backup if i want AVG free and Malwarebytes Premium, i run maintenance regularly disk Cleanup, Defrag etc i'm using the latest service pack 3, with all updates installed and have chosen not to install the untested POS Ready hack against it because of a higher risk of Bugs you can still use XP if you do this in a modern environment, it works fine, it's compatible with most Applications, Direct x doesn't matter if you're not a Gamer, it can't run the latest Office 365, but 2007, or whatever anyone else uses is enough. I know some of you out there probably think running XP is crazy because of the risks of Attacks and Viruses on the net if you're so freaked out about this and arn't prepared to take a risk, then Microsoft have won in getting you to stop using it, the only time i ran into a Viruses, was when i was a kid and just clicked on everything in an Admin account, if you don't do that and think before you click, then it is highly unlikely that you'll get a Virus. I still use XP . I run My genealogy Programs using XP, When 10 comes out I plan to upgrade then I do not want to update to 8.1 and learn that for short period of time. I Could Not Care Less If My Machines Will Die, Or Not. Buying Individual Customer Parts, And Using A Site Like PCPARTPICKER, Will Allow Me To Install XP In Lots Of The Most Recent Hardware, For Many Many Many Years To Come. Also, Not Using Any Newer M$ Updates Since The SUMMER Of 2009. Yes, More Than 4 Years BEFORE The Dreaded APRIL 2014 - Take That, M$. I do have WinXP installed on my desktop - as secondary OS on smaller old HDD where it does not interfere with Win8. While it do has AV and - sporadically - internet access, main usage is bein' repair/sync platform for some of my antic gadgets - some of flashing tools and suites just don't work/don't well under Win8. But i see no reason for using it as base platform for daily use - UI is ugly fossil by today's standards - and more and more apps do not support it (at least not intentionally). BTW end of support by MS means that no AV can provide adequate protection - some of previous 'holes' allowed to totally bypass them. Great news from technological POV . Sadly this means that Google will have even more influence over PC world - even more than MS in their prime. Anyway as Russian i just can't really trust tech companies under USA jurisdiction anymore. Since you distrust US tech companies, you should be using a Linux distro developed in Mother Russia, such as ROSA. "UI is ugly fossil by today’s standards "
Whose standards? How much faster does a "pretty" UI make a PC run? Glitz and eye candy only slow a computer down. What functionality does a pretty UI add to a PC? Well, it's on to-do list. Nowadays i use most of my free time to learn russian alternatives of work-related software as goin' Linux will be easy - been there, done that. Not to mention that this time it's not fear of 'NSA' messing with software/private data but plain thinking -Google blocked services in Crimea due to US laws, what next? Windoze and desktop software will still be working without cloud, most of what google offers - will not. The XP loyalty really is fascinating. I switched to Linux years ago as did some of my friends and family. A few people I know run 7 (I run it in my gaming rig) and only 1 person I know has 8.1. It seems they made the ultimate corporate mistake: They made a durable product that people want. Nothing is built that way any more: from cars, os's, tools, etc all have intentional obsolescence built in. I'll bet the virus that takes it down will be from M$ itself. Like Dragonmouth said, all the 3rd party fanboys will be able to keep it going for a while longer like classic car hobbyists. XP is so much easier to use than Win 7 with it 3 locations to download stuff. Recently I had my xp put on a new machine with a larger HD with the intent to use it as storage for genealogy information. If and when I can use Win 7 as easily I will never upgrade to Win 10. Microsoft can bit it!! Dumb programers! "it still means XP is more popular than Windows 8 and Windows 8.1 combined"
"We have continually urged people to upgrade from Windows XP, which is now 13 years old and counting." Age only matters in wine and cheese. "The need to upgrade (or switch to Linux) became critical when Microsoft ended support for XP in April 2014, meaning the operating system no longer receives security updates." Considering that the most effective security for Windows was, and is, being provided by third parties, lack of Microsoft security updates is no biggie. In fact, it means that Windows XP security is no longer a moving target. Over the last year since Microsoft ended support for XP, I have realized the dilemma that quite a number of my clients face, and personally had never made the connection before a few weeks ago. Many of my Clients are older folks, 60 and up, that still cling to WindowsXP, its what they know and are comfortable with, and I can fully understand that. Another side of the issue I have started to see is that many of them are stuck with a machine that (due to physical hardware constraints) will simply not run newer OS's such as Windows 7, or not run it very well, this is also true for the more popular distro's of Linux as well. The dependability and longevity of many of the older PC's out there is proving to be a problem for many, they have a perfectly good working machine running XP, they don't want to spend all that money on a new PC and have to deal with learning a new system. I continue to point out to them that they are on t road that is going to become more dangerous as it continues as security will fall away. Few of my clients utilize their computers for anything more than e-mail and Facebook, and see no need to worry about the security side as they do not have anything vital on their machines. In their eyes it's business as usual, until the machine al out dies. I know for a fact that in my area of the globe, XP will only die when the machines that were built with it finally pass into oblivion. Still got an old girl chugging along with XP and she's as peppy as the day I first got her. The scare tactics employed by certain entities to dissuade XP users from continuing to use the OS has largely been a failure. People will upgrade at their own pace...for example: when their old machines die and they purchase new machines loaded with the latest OS. Most of those security issues are internet related anyways. Once you use a secure web browser like Firefox, perform regular scans with current antivirus and anti-spyware/malware software and of course exercise caution by visiting trusted websites, you're good to go.